STUNNING LAKE VIEW from this immaculate home in Sierra Sunrise Village (55 and older) community. Enjoy the peace and beauty of California Park Lake from the covered back patio while you sip your morning coffee. 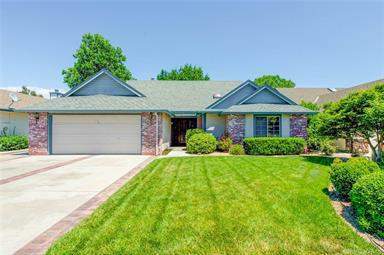 This spacious home is all on one level and is located on a culdesac. The kitchen features tiled countertops, plenty of cabinets, and a kitchen nook. The dining area looks out to that fabulous view, as does the living room and master bedroom. Living room has vaulted ceiling, gas fireplace. Walk-in closets in master and front bedroom. The yards are beautifully landscaped, with auto sprinklers, rose bushes and even a lemon tree. Cal Park offers such amenities as neighborhood parks, walking trails and a security patrol. Pest clearance and whole house reports are available, and the City of Chico Energy Retrofit work is done. Fridge stays. This gem is move-in ready!